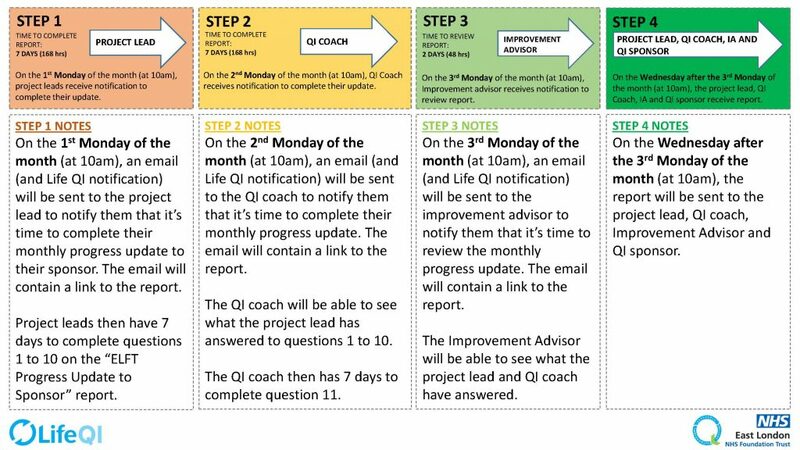 The monthly progress update is an important communication tool used to help inform sponsors of any successes and challenges the project may have had. It is an essential part of helping the QI project move forward. Below is a flow chart explaining how the process works.